St. John the Baptist Parish Sheriff deputies examine a car with bullet holes Thursday after two sheriffs were killed and two wounded in two shooting incidents in St. John the Baptist Parish, west of New Orleans, La. Authorities pledged in a news conference to bring to justice those responsible for shooting two Louisiana sheriff’s deputies to death and wounding two others in two separate but related incidents Thursday morning. St. John the Baptist Parish Sheriff Mike Tregre said that five suspects are in custody and that the Louisiana State Police have taken over the investigation. “Our goal is not expediency in trying to rush to conclusions. We’re looking for facts and we’re going to build on those facts,” state police Col. Mike Edmonson said at the Thursday afternoon news conference. 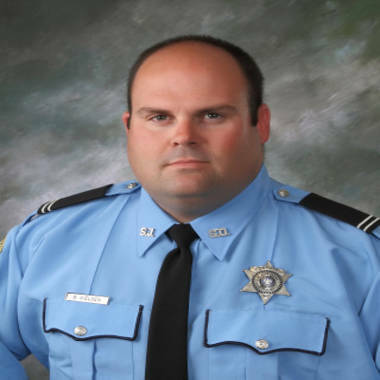 Deputy Brandon Nielsen of the St. John the Baptist Parish Sheriff's Office had been with the department for two years and was assigned to the traffic division. 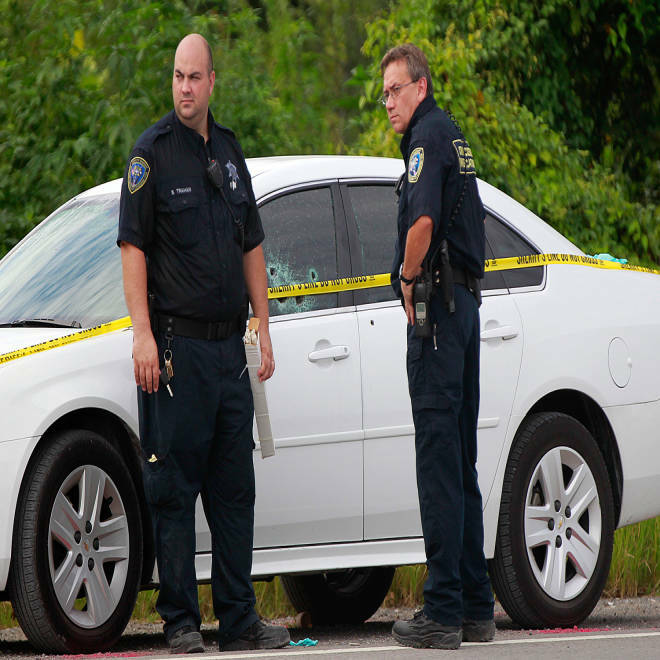 The first shooting occurred around 5 a.m. in the parking lot of a Valero refinery in St. John the Baptist Parish, 35 miles west of New Orleans near the Mississippi River. A deputy was working an off-duty traffic detail at the refinery when someone opened fire on his police vehicle, injuring him. Moments later, police received a call from someone describing a speeding vehicle fleeing the scene of the shooting. Deputies tracked the vehicle to the Riverview Trailer Court, a trailer park, and began questioning residents. Police handcuffed one suspect outside a trailer and knocked on its door. A man with a dog answered, and police noticed another man inside fully clothed under a blanket. After the two men came outside with deputies for questioning, a third man jumped out of a trailer and began firing with an assault weapon. Deputy Jeremy Triche was assigned to the canine division and was a 4-year veteran of the sheriff's department. “Another person exited that trailer with an assault weapon and ambushed my two officers,” Tregre said. Authorities identified the deputies killed as Brandon Nielsen, 34 and Jeremy Triche, 27. The wounded officers are Michael Scott Boyington, 33, and Jason Triche, 30. Officials have not said whether it was Boyington or Jason Triche who was injured in the first shooting. Tregre said the two Triches are related in some way but was not sure how. Earlier, officers from nearby parishes assisted in the search for the suspects. Authorities are still trying to piece together what happened and what led to the shootings. “Law enforcement is a profession where one day you may take a life, save a life or give your own, and today was one of those days,” Tregre told reporters. 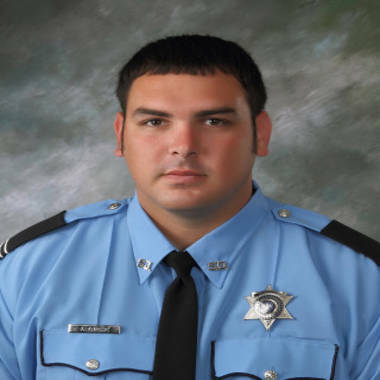 Nielsen and Jeremy Triche are the first St. John the Baptist Parish deputies to die in the line of duty since 2006, according the sheriff's website.